In the Course Valley countryside, this holiday property is part of the owner's home, yet totally independent and is set on the owner's cattle farm. The property has a pétanque court. In the Course Valley countryside, this holiday property is part of the owner's home, yet totally independent and is set on the owner's cattle farm. The property has a pétanque court, table tennis and use of the owner's grounds where their donkey lives. 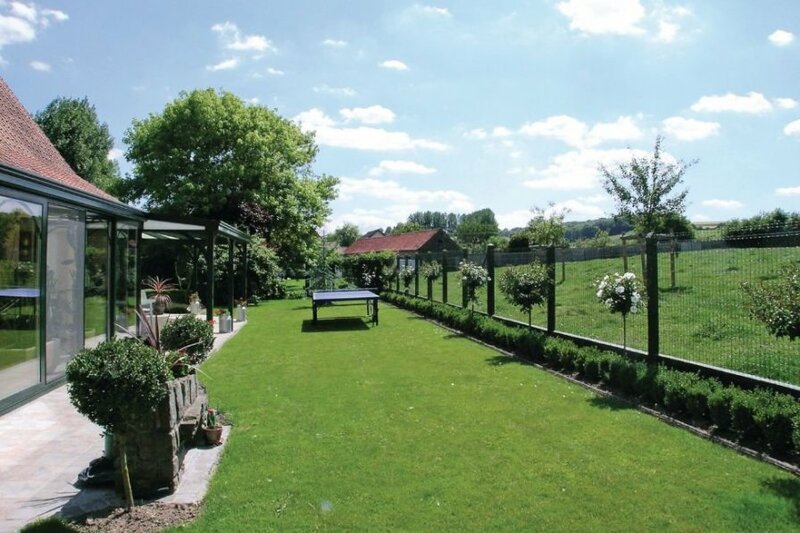 A second garden opposite borders the River Course where fishing can be enjoyed with a licence. 800m away is a renowned restaurant, and there is a chocolate factory at Beussent. Visit Montreuil-sur-Mer (8km) with its ramparts, Antiques Fair/Brocante on the 14th July, shops and restaurants, or Desvres for its pottery, museum and market. Etaples has a harbour and marine museum, and there are beaches at Le Touquet and Boulogne-sur-Mer. Swimming pool 8km. Shop 6km, café/bar and restaurant 800m, beach 15km. This villa is made from brick or stone and was originally built in 1975 and refurbished in 2010. The agent has rated it as a three star property so it is a well-kept villa, equipped with standard furniture. It is also good value for money. The villaIt is located in Inxent, only 9km from Montreuil sur Mer. It is set in a good location: there is a restaurant 1km away. The villa has free wireless internet. You can also park on-site at no extra charge. The villa is adequately equipped: it has a microwave and washing machine. It also has some garden furniture outside.